Gallery Hours: Wed-Sat 12-6pm, Sun 12-5pm. 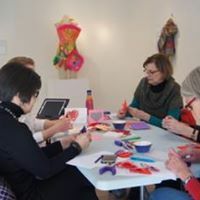 The Arts Center Killingworth (ACK) is a nonprofit 501(c)(3) tax-exempt organization focused on the development and presentation of the visual and performing arts on the Shoreline of Connecticut and beyond. 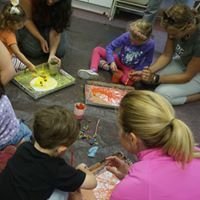 ACK supports amateur and professional artists by organizing exhibits and festivals and offering classes, intensives, workshops and Summer Camps for adults, teens and children. Art exhibits and events are organized and presented by the Arts Center Killingworth at Spectrum Gallery, Centerbrook, CT. Visit the Gallery website for details on current and future exhibitions, participating artists, and events.